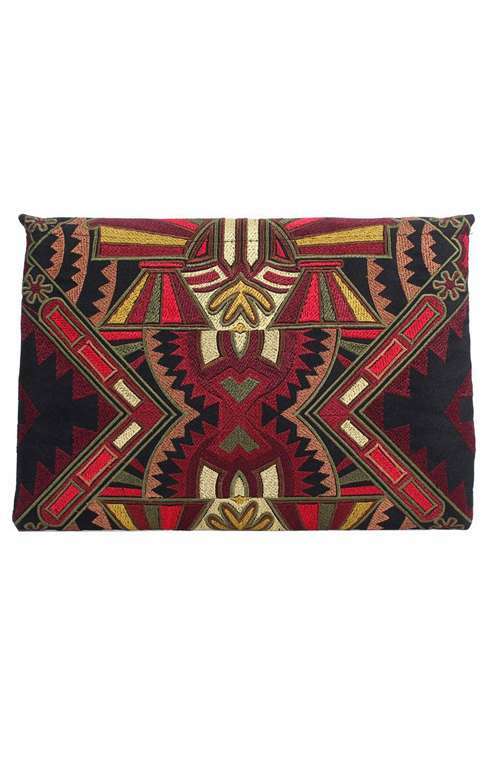 Earthy tone tribal bohemian large clutch handmade in Thailand. A large boho embroidered handmade clutch. 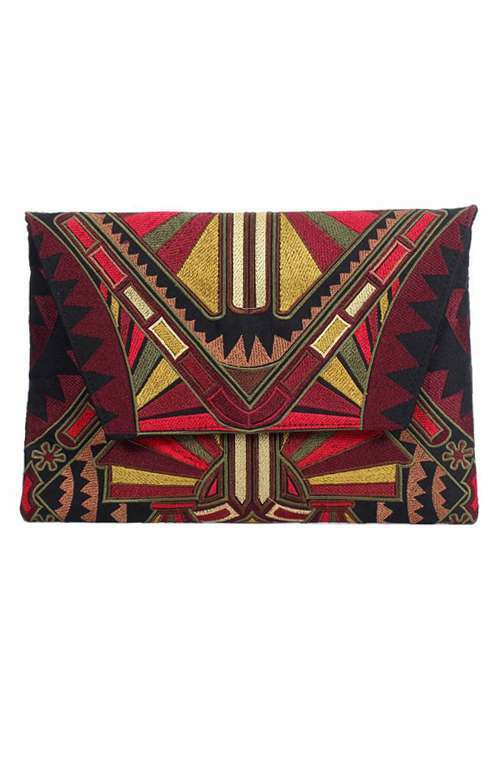 This tribal inspired clutch is made with beautiful embroidered fabric. 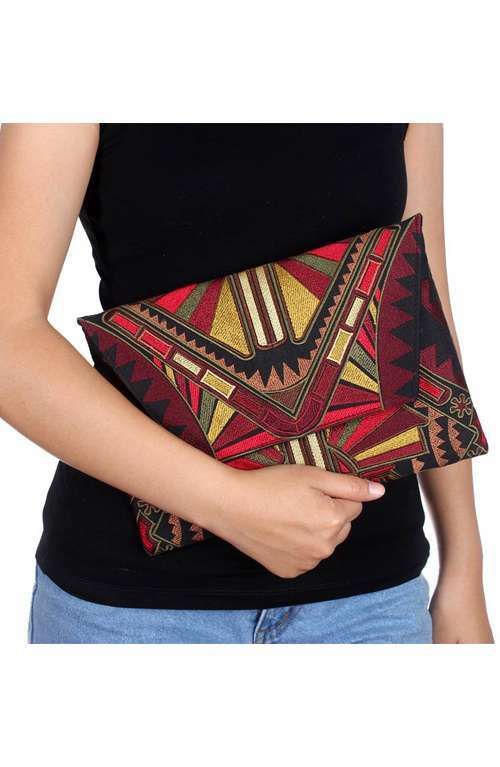 The boho clutch bag features a magnetic closure and a zipper pocket inside. 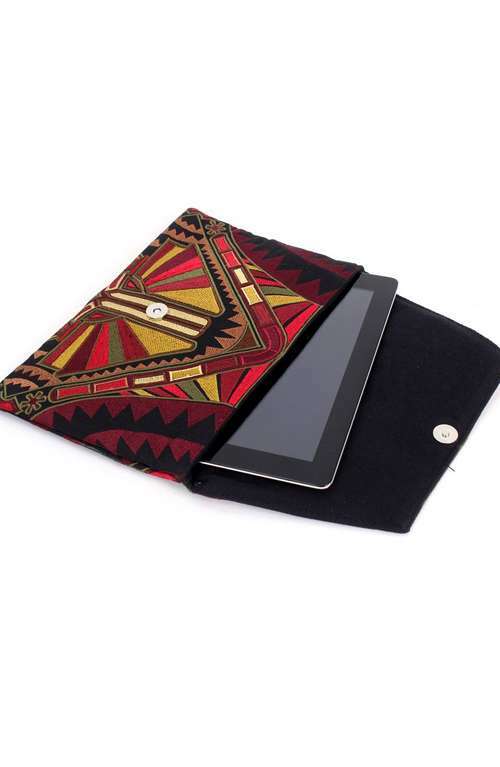 This unique bohemian purse is great to use for every day use or to store your iPad.